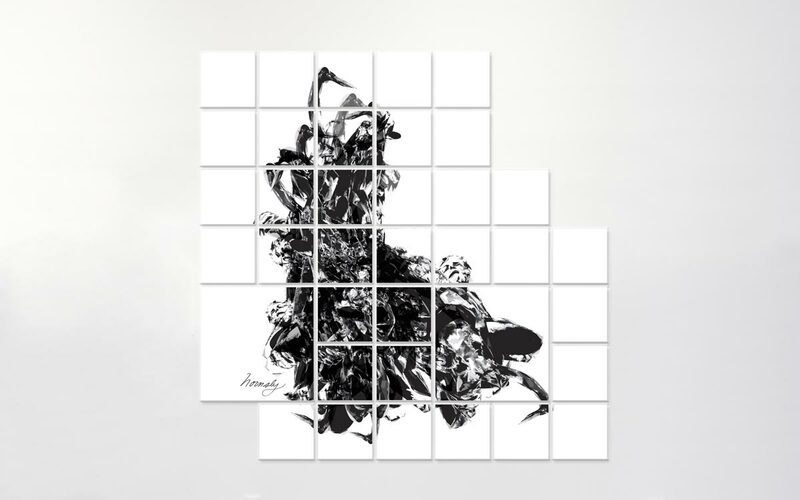 Hornsby's latest "Fracture" series is a haunting explo­ration into the frac­tured human nature and the fight within. It's a com­bina­tion of stark black, white, and gray "shard" imagery that in­cludes mul­tiple in­dividual paint­ings that make up large scale pre­sen­tations. The over­all impressions give the feeling of power­ful strug­gles between strong op­posing forces. Hornsby's latest "Fracture" series is a haunting exploration into the fractured human nature and the fight within. 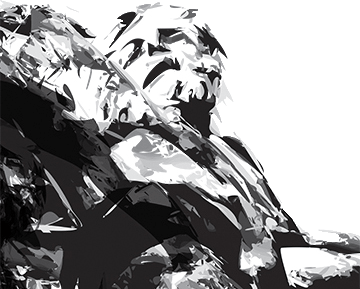 It's a combination of stark black, white, and gray "shard" imagery that includes multiple individual paintings that make up large scale presentations. The overall impressions give the feeling of powerful struggles between strong opposing forces. 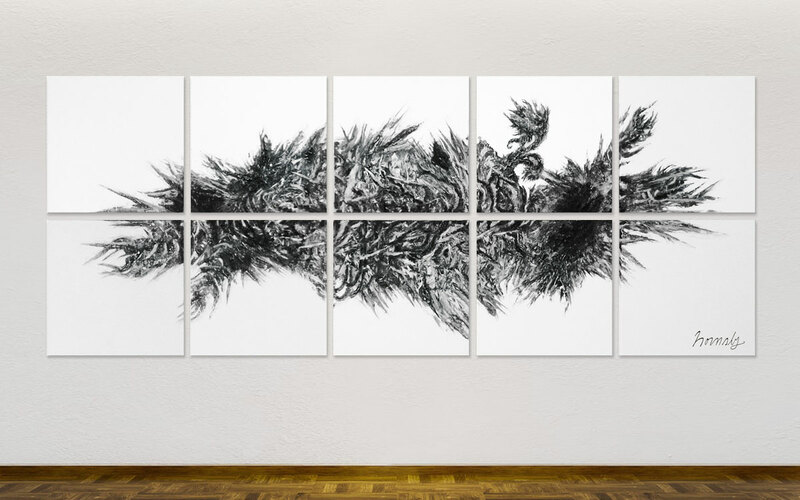 "Fracture 1" is the combination of stark black, white, and gray "shard" imagery that includes a total of 37 individual paintings that make up one large-scale piece. 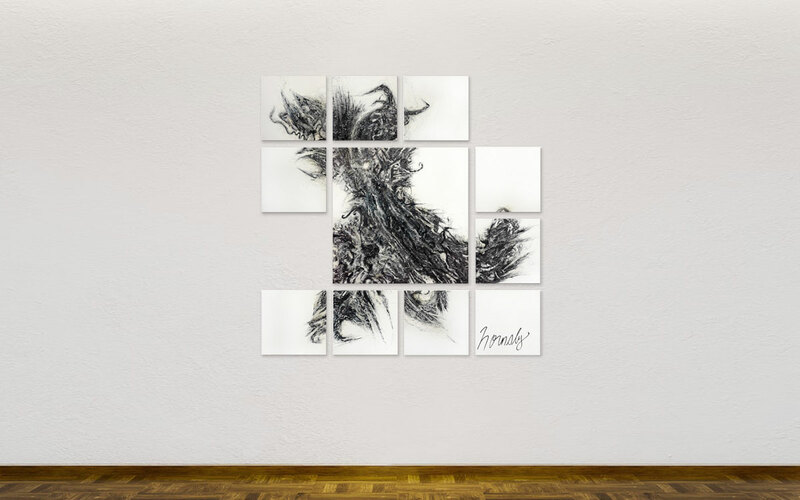 "F-Nest" is the combination of stark black, white, and gray "shard" imagery that includes a total of 9 individual paintings that make up one large-scale piece. 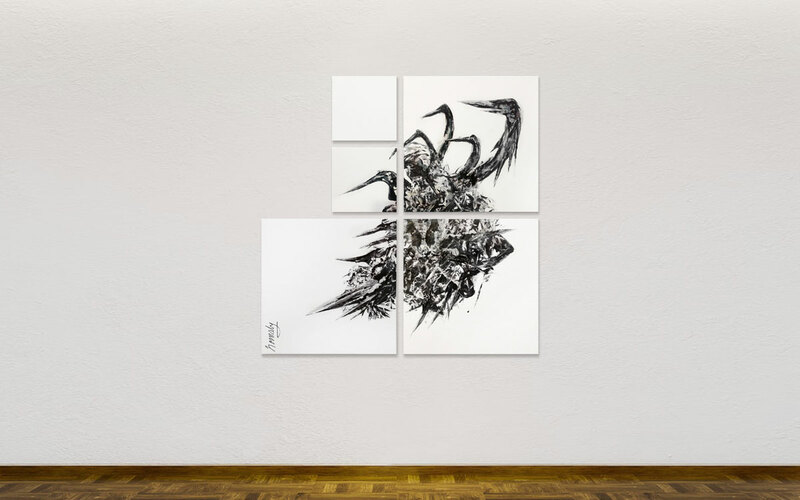 "F-Attack" is the combination of stark black, white, and gray "shard" imagery that includes a total of 5 individual paintings that make up one large-scale piece. 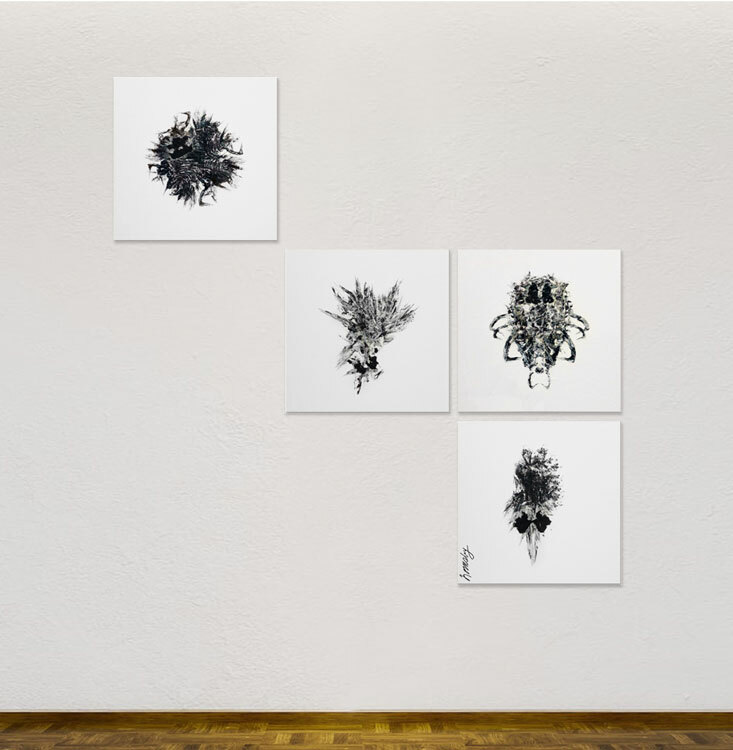 "F-Ball" is the combination of stark black, white, and gray "shard" imagery that includes a total of 5 individual paintings that make up one large-scale piece. 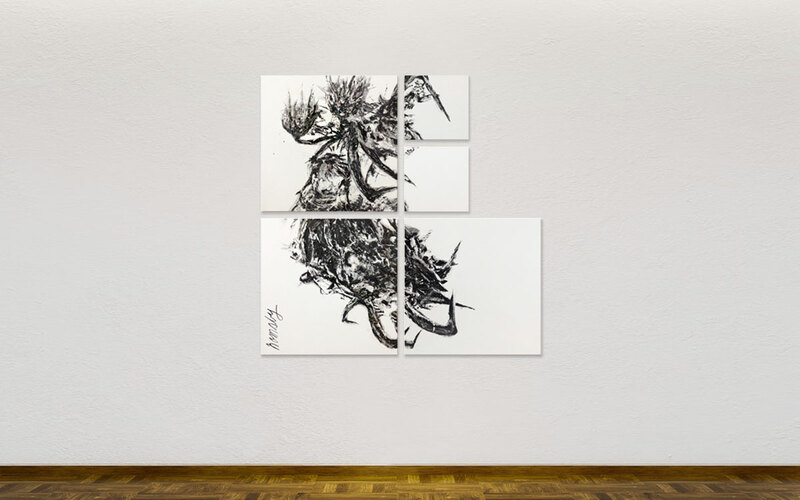 "F-Defend" is the combination of stark black, white, and gray "shard" imagery that includes a total of 5 individual paintings that make up one large-scale piece. 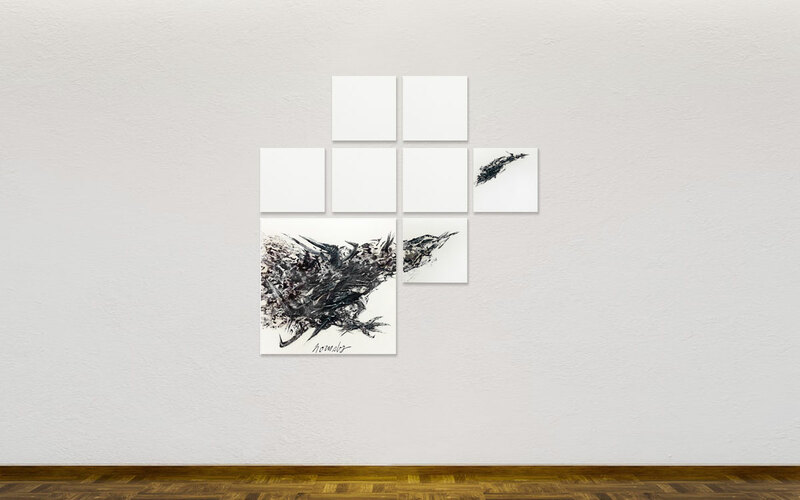 "F-Flight" is the combination of stark black, white, and gray "shard" imagery that includes a total of 8 individual paintings that make up one large-scale piece. 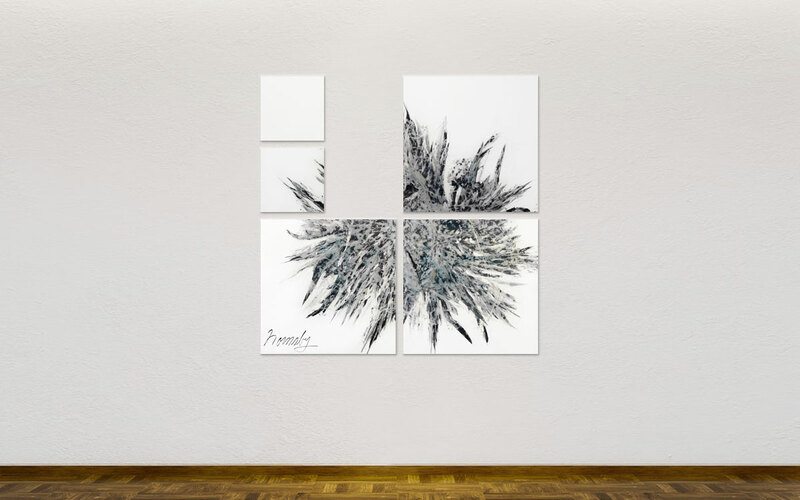 "F-Pod 2" is the combination of stark black, white, and gray "shard" imagery that includes a total of 10 individual paintings that make up one large-scale piece. "F-X" is the combination of stark black, white, and gray "shard" imagery that includes a total of 11 individual paintings that make up one large-scale piece. 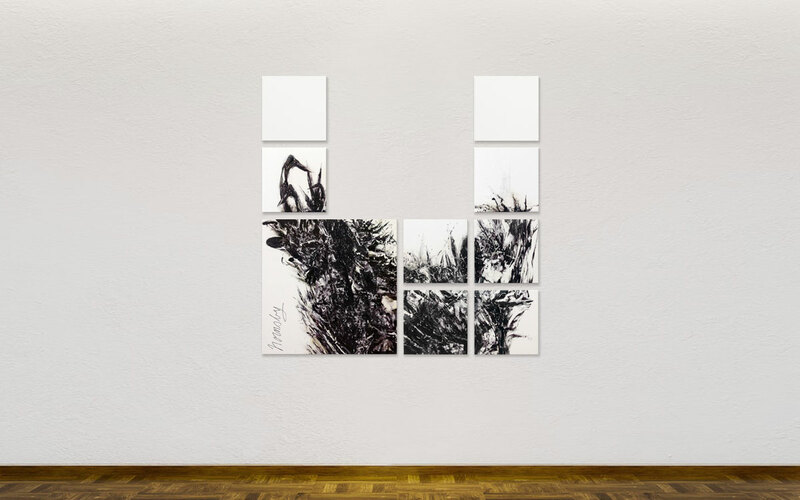 "F-Try" is the combination of stark black, white, and gray "shard" imagery that includes a total of 4 individual paintings that make up one large-scale piece. 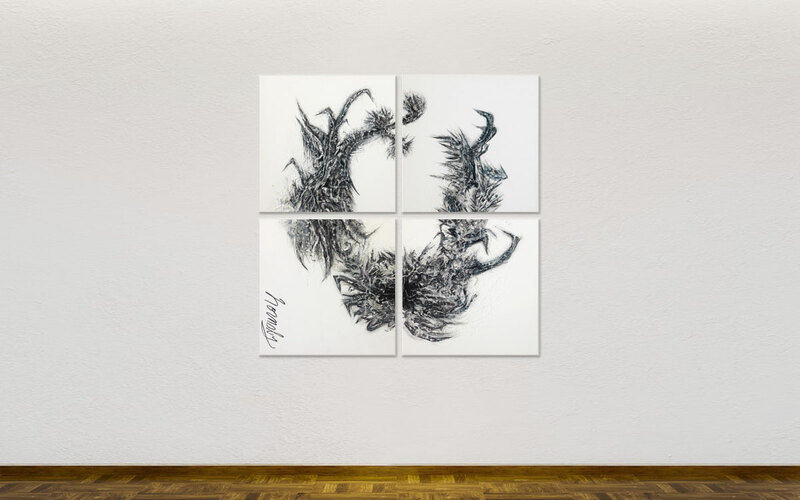 "F-Circle" is the combination of stark black, white, and gray "shard" imagery that includes a total of 4 individual paintings that make up one large-scale piece.